Instant crypto currency deposits – guaranteeing zero confirmed trxs. 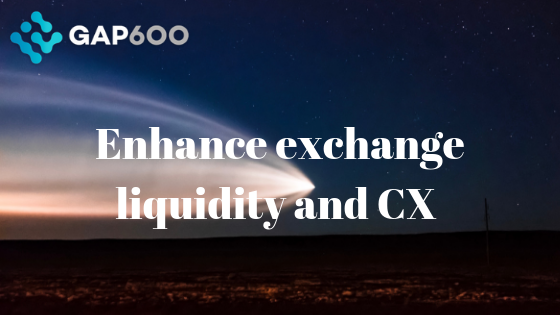 GAP600 is excited to announce that we have concluded a partnership agreement with Cinnober, a leading global independent provider of exchange and real-time clearing technology, to enable instant cryptocurrency deposit transactions on the company’s exchange platform. Last summer we launched GAP600, a service that guarantees zero confirmed bitcoin transactions for any wallet. Essentially, we enable instant acceptance of bitcoin transactions before they’re actually included in a block. To this end, we analyze and score every single bitcoin transaction on the network. 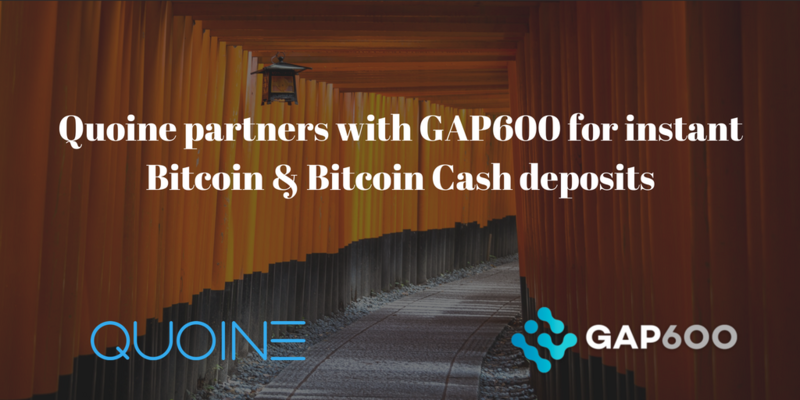 GAP600, a global pioneer in cryptocurrency payment transaction enablement, has concluded an agreement with Quoine to implement a solution that expedites deposit confirmations for the fintech provider’s cryptocurrency exchanges. 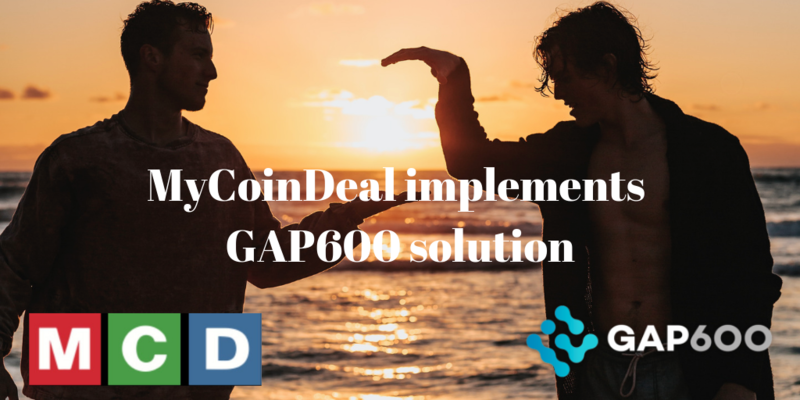 Brazil-based crypto exchange and multi-coin wallet service, MyCoinDeal (MCD) has integrated GAP600 into its service offering to enable instant and secure payment and transaction confirmations. Founded in March 2017, MCD is a global and professional digital coin service provider that leverages a proprietary system to deliver a highly secure, stable and user-friendly platform for the global cryptocurrency community.